The K450FX features 3 inputs and 45 watts for easy monitoring. This super-compact, self-contained sound system is perfect for public address systems, keyboards, voice, or various drum/backing machines. 45 watts of power are handled confidently by a headroom-rich 10 in. Bugera speaker, making sure that you can faithfully reproduce a broad repertoire of signals. The only thing this keyboard amp is short on is an exorbitant price: Behirnger included all the must-have features that you are accustomed to in much larger amps: 24-bit digital FX with 100 hot presets, Behirnger's trademark FBQ feedback detection system, full 3-channel operation with separate volume controls and FX sends per each channel plus an additional XLR mic input for connecting dynamic microphones. 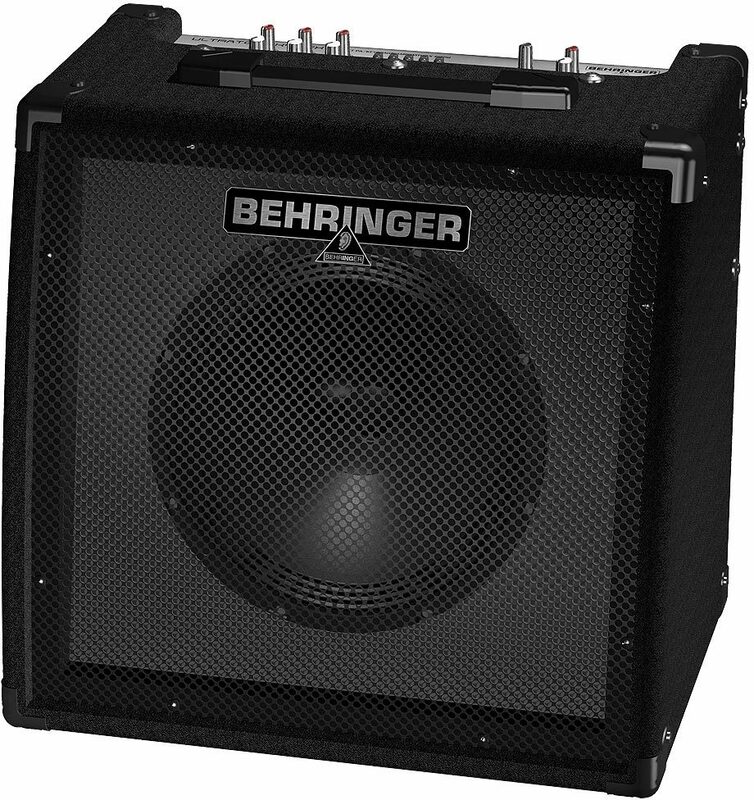 You can rely on Behirnger's 5-band EQ section to help you carve out perfect sound. In addition, there is a CD input plus a headphone output, giving you lots of choices you'd hardly expect in this price category. 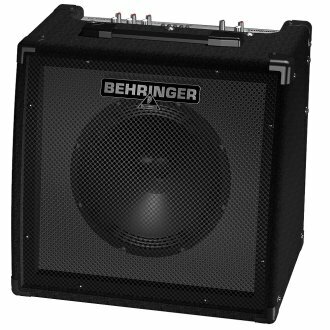 With Behringer, you can simply expect more! Available until 11 PM (EST) today. Mention special code 202-FBKY when you call.